We will definitely be returning, hopefully in the spring or summer when the weather is a bit warmer and to see the beauty of this place with leaves on the trees and flowers blooming. Loved all of the historical photos around the cabin. My husband and I visited for our anniversary and David was so kind to leave us a Happy anniversary note and a bottle of wine! Thanks David!! Thank you to the Pleasants for sharing their beautiful property! We enjoyed the stream and hiking around the property. The house has MORE than you need! If you are looking for a good place to get away from it all, this is perfect. All modern amenities are provided. We LOVED the parkway was so close! We spend a day going to Meadows of Dan and then Mount Airy. Very good location for seeing things, but also perfect to feel tucked away and left alone! We loved it! Wish we had a gem like this place! This was a perfect pick for my weekend escape from daily stress. I was able to easily get into town if I needed to, but I was more than happy to stay in the cabin. It was well stocked and thoughtfully organized. I was seeking peace and relaxation without outside interruption and the ability to cook meals. This please provided all of that. For any questions or concerns I had, David was prompt, friendly, and helpful. I hope to return again sometime and would highly recommend to anyone. The cabin was just as stated. My huband and I very much enjoyed our weekend getaway. The cabin was clean and very nicely decorated, with a very rustic feel, but still enough of the modern touches. 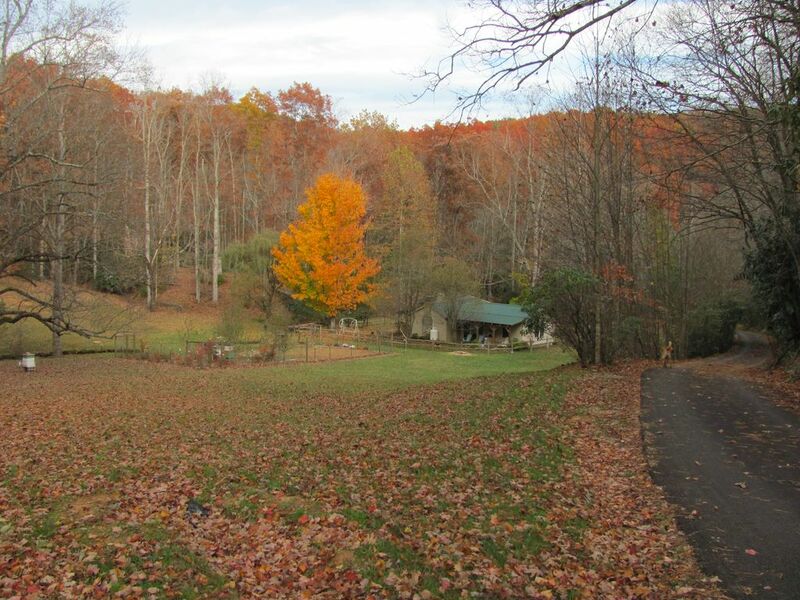 The property is very secluded but only a few minutes to Stuart, Virginia, which has a grocery store and two coffee shops. Minutes from the Blue Ridge Parkway and all that beauty. We will definitely return.